The “Soft as down” Hungarian Fibre-ball duvet is the perfect answer for those people who are looking for a luxury alternative to a natural down or feather duvet. The filling of this excellent duvet is made of tiny clusters of miniscule fiber balls which imitate, almost to perfection, the feel of down. 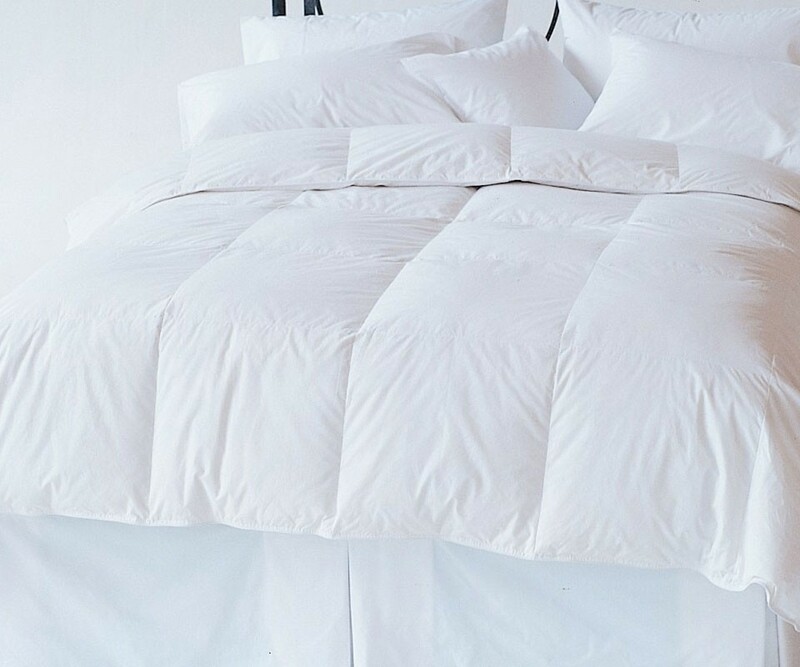 Our synthetic duvet with its down-like texture offers you the luxury and comfort of a down duvet at a much lower price. Thanks to the technology of ‘Fiber Ball’ you can enjoy all the benefits of a down-filled duvet; it is soft, fluffy, comfortable and ‘breathes’ freely, something which is unusual in synthetic bedding. You will hardly notice the difference between this duvet and one which is filled with 100% down and feather. Enjoy a well-earned rest, along with a fabulous sensation of lightness and thermally balanced warmth. This innovative duvet, ‘Down-feel’ is the perfect alternative solution to a down duvet without losing quality or comfort, yet at a cost far easier for you to contemplate. Don’t think twice, buy now and delight in the best night of your life! 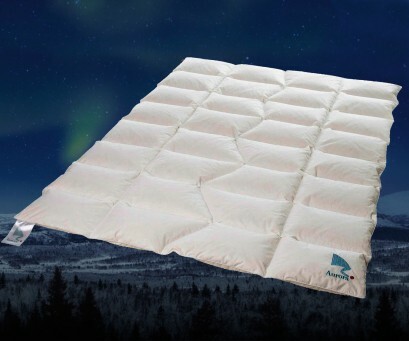 A duvet shell which is super comfortable and extra soft. 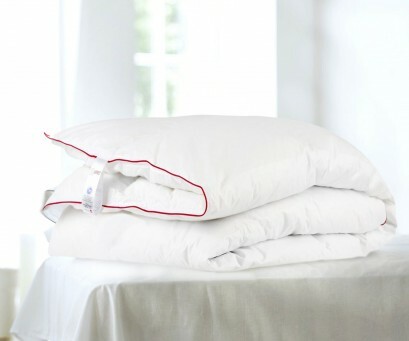 Feel the softness of the cover for this duvet which has been made using a first class micro-fibre fabric. 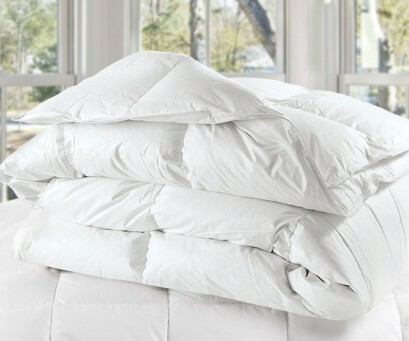 The cover is divided into cassettes or sections, each one containing the exact amount of synthetic filling necessary to ensure a uniform distribution throughout the duvet. You can also rest completely assured that this special filling does not become ‘lumpy’ with time, but remains as soft, fluffy and evenly dispersed as the day you bought it. In addition, and adding even more to the luxury of your new duvet, you will find it boasts a strong and attractive ribbing around its perimeter, giving added strength and an attractive clean, fresh appearance. Thanks to its special manufacturing process, the fibre-ball filling comes in clusters or minute balls which imitate almost to perfection the comfort and feel of natural down. This synthetic filling behaves in a way which is amazingly similar to that of down or feather. With a brief shake after you get up in the morning the duvet immediately recovers its initial shape and form and is ready to give you endless nights of extreme comfort and enjoyment. This duvet boasts millions of microscopic fibers which retain air in the inside and which eliminate the unwanted moisture produced by our bodies as we sleep. It is worth noting however, that not all micro-fiber fillings behave in the same way. 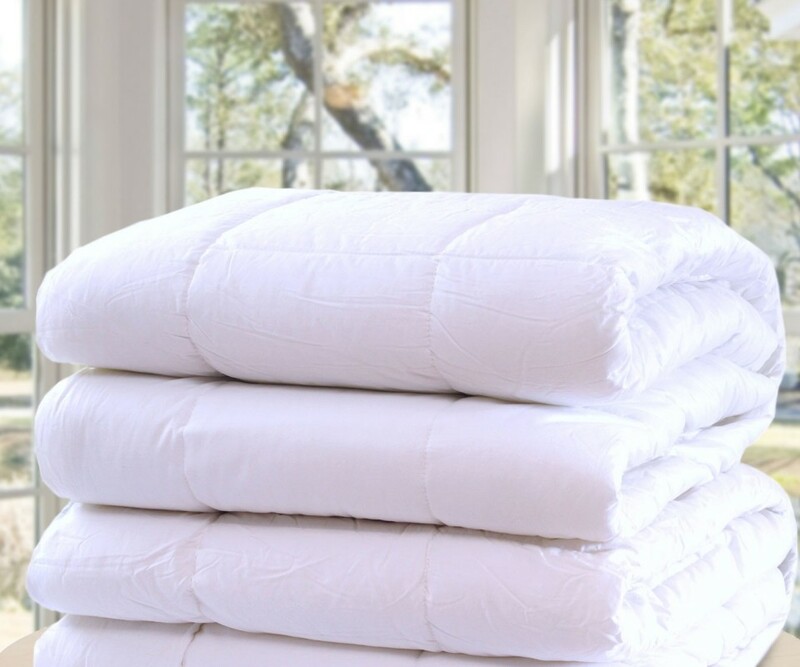 It is our unerring wish to always provide our customers with products of the highest calibre, and in the case of this duvet the fiber used has been carefully tested and re-tested to comply with the high standards we demand. We can proudly offer you here a duvet which ensures luxury, moisture-free warmth, lightness and a very high degree of comfort. Why do we, and why can we, recommend this down-feel duvet so much? Close your eyes when you get into bed and you will experience the very special and cozy feel of the down over and around your body! For youngsters of all ages as well as for adults this duvet has proved to be a winner! At a cost much lower than that of natural down you will be able to enjoy almost the same high level of comfort as that afforded to you by the more expensive natural down version. And not only this! 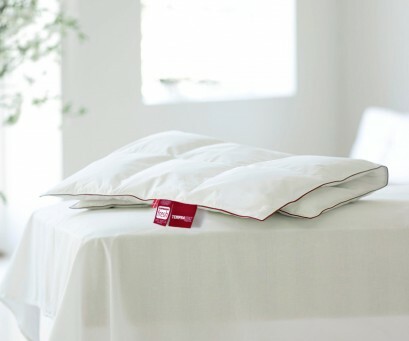 You will fall sound asleep every night knowing full well that your newly acquired duvet is certified hypo-allergenic and at the same time is mite-free. What more could one possibly ask for? You will obtain your new down-feel duvet along with 2-year manufacturer guarantee, and besides, if you so wish you can try out the duvet, without obligation to buy, for several days. After this time if you are not satisfied we will pick up the duvet from your home and give you your money back. I can recommend it if you have a delicate skin like me. Glad I found it on Internet. We had been thinking about investing in a duvet. This one is great. I don’t regret buying it for a minute. A good investment. Really warm and comfortable. Not too heavy, not too hot, nice! We have been lucky with this duvet. Good price and just what we needed. The advice very helpful too. Really good quality at a reasonable price. It doesn’t weigh anything – and it feels so soft and warm. Umm!! Easy to recommend. Sales assistant helpful. Delivery quick and yes- we are very happy! 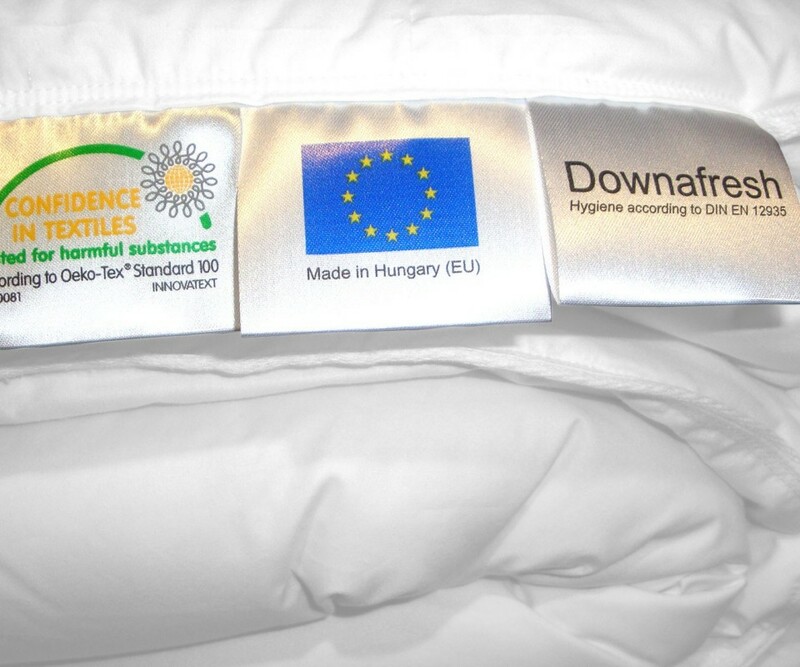 We like buy synthetic products and we were lucky to find this duvet. It’s what we have been looking for. I suffer from an allergy which affects my skin, but with this duvet I am much better. Good product at a nice price.